This interdisciplinary volume brings together many of the world's leading clinicians and researchers to discuss current and anticipated developments in the understanding of narcolepsy. The volume is broadly divided into four main sections: Section I - Etiology; Section II - Clinical Considerations; Section III - Psychosocial considerations; and, Section IV - Management. The areas covered include findings from research investigations on the genetic predisposition and pathophysiology, psychosocial aspects, and clinical management of narcolepsy by means of pharmacological and non-pharmacological methods. 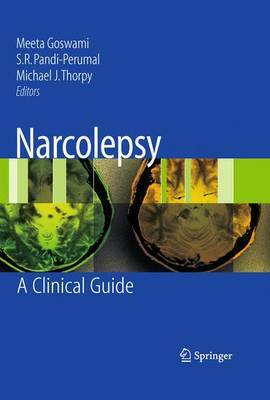 Special attention is paid to the translational aspects of narcolepsy. This volume is suitable for sleep disorders specialists and researchers, psychiatrists, neurologists, psychologists, social workers, behavioral scientists, graduate medical students, and any professionals and researchers interested in the interdisciplinary area of sleep medicine. Key features include the following: focus on issues faced in day-to-day clinical settings - helps to inform and change clinical practice; chapters address both clinical and research basis - highlights potential areas of future research; and, interdisciplinary and translational approach - suitable for a wide range of clinicians and biomedical professionals.